We will never forget when this track was first dropped. This is one of 2011’s EDM anthems and even though it was released a while ago, the music video is fairly new. We love Nadia Ali, Starkillers and Alex Kenji‘s perfect compilation of sound. The wind tunnel, lights, shadows and of course, Nadia Ali combine perfectly. Boasting a Grammy nomination for her song ‘Fantasy‘ (Morgan Page remix), this globally renowned singer/songwriter is just warming up. 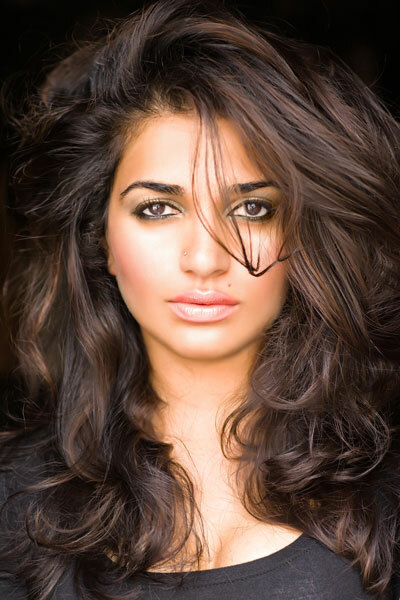 Those who have listened to her work can testify that Nadia Ali truly does have the voice of an angel. Recognized as one of EDM‘s leading ladies, her melodious, elegant vocals have been featured by the likes of Avicii, Alesso and even Armin van Buuren to begin the lengthy list. Though Nadia grew up loving an extensive variety of musical genres, her experiences across the world (born in Libya, moved to Pakistan and then New York in the 1980’s) helped foster her desire to maintain diversity in her collaborations. ‘Rapture’, the haunting track produced as a result of Nadia‘s work with iiO, thrust her to the top of the EDM scene. Her voice quickly because a sound that resonates within each song it is featured in. And to think, this is only the beginning framework of Nadia’s career. We have a lot to look forward to with this songstress paving the way for females in the EDM industry. Here is a little sampler of Nadia Ali. As always we try and bring you some of the newest music available, so that you the listener can check it out and enjoy what we are. Well, here are some tracks that we’ve come across from an array of different sources, but have a feeling that you’ll enjoy them. Now these are songs from all different genres of the EDM scene that, at the very least, you should listen to! The first track is an amazingly uplifting Drum & Bass tune that will help keep your spirits up if they happen to be low, but is also just perfect to listen to anytime. Alesso puts his own spectacular touches on this track and shows why he’s one of the great up & comers in the EDM community. This is a track that’s been dropped by a whole lot of DJ’s this past year and of course there’s going to be some great remixes to it. This is definitely one of those great ones from the likes of John Dahlback. A perfect song for mellowing out to. Whether it’s been a long day, long night, or you just wanted to put something relaxing on, then this is a perfect track. What else can we say, besides Anjunabeats –Above & Beyond’s record label- knows how to pick great artists. The last of our full tracks is a darker remix by Skream and fits the autumn weather and fits the fast approaching Halloween vibe. The last two tracks we’ve got for you are previews of some songs that are fast approaching full-release in the month of October, but from the sounds of them they seem incredible!